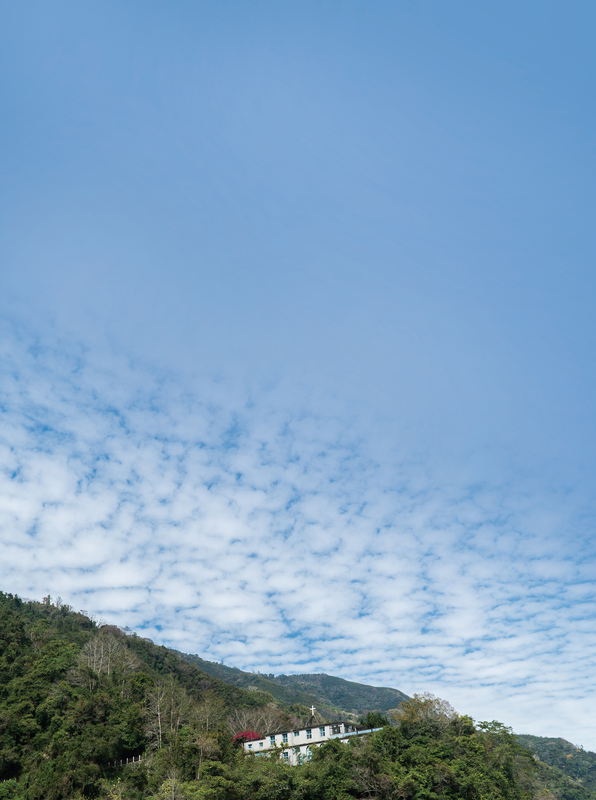 As you approach the Atayal indigenous village of Qing­­quan in Wu­feng Township, Hsin­chu County, you see a little church nestled in verdant hills, its gray walls decorated with stained-glass windows. Against a cloudy sky, the Holy Cross Catholic Church is conspicuous yet reserved. Its historical ambiance seems to make time stand still, conveying a sense of serenity. For Father Barry Martinson, the keeper of this church, and the village of Qing­quan, 40 serene years have passed as if in the blink of an eye. Martinson was born in California in 1946. When he was eight years old his father passed away, leaving his mother to raise him and his two brothers on her own. His mother’s determination and tolerance ensured that Martinson grew up in a loving environment. And it was his mother’s love and her hope for her sons’ happiness that sustained Barry and his elder brother Jerry through their studies at the seminary. After graduation, both brothers were sent by the Jesuits to serve in Taiwan. Martinson, who loved to draw and paint from an early age, used to gaze up at the stained-glass windows instead of listening to the sermon when he attended mass as a child. Perhaps this experience formed his idea of what a church should be. 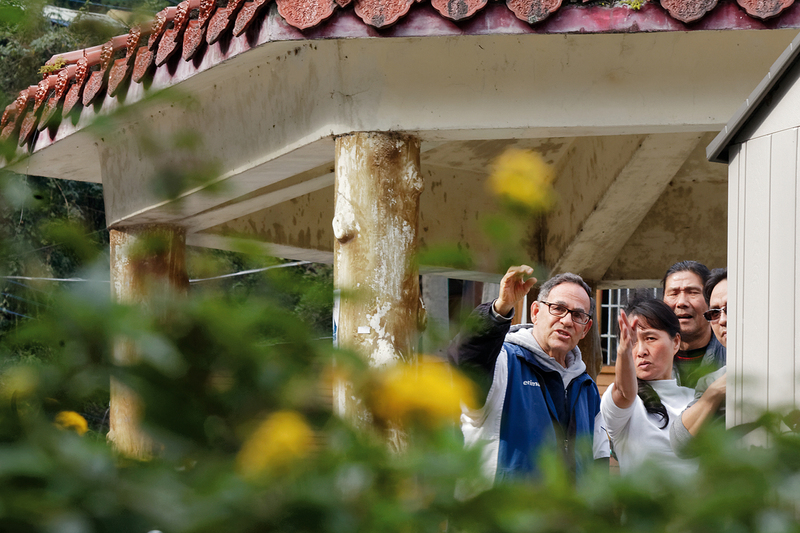 When he was assigned to the Atayal Aboriginal community of Qing­quan in the western foothills of Taiwan’s Central Mountain Range in 1976, he arrived to find the church walls mottled with age, seemingly lifeless. 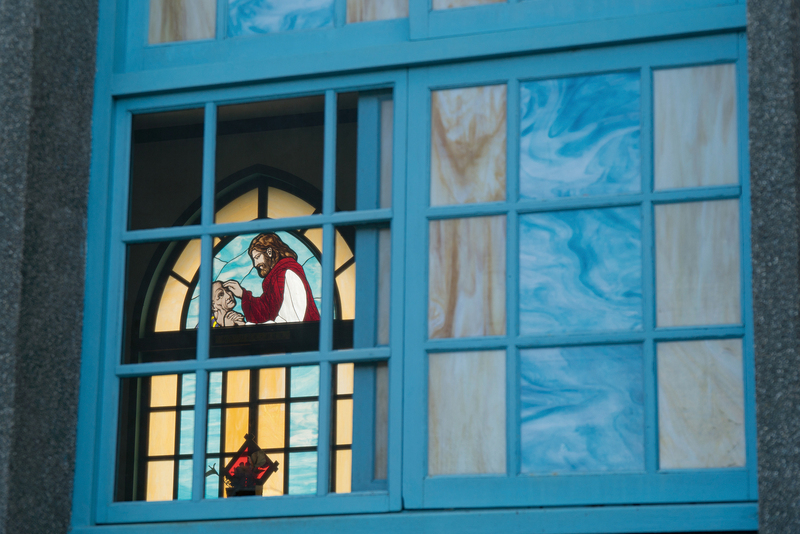 Determined to use his artistic skill and his aesthetic sensibility to add some color to the building, he set himself to making stained-glass windows to ornament the walls with both natural beauties and stories from the Bible. One image of Jesus praying is Martinson’s favorite. He pieced shades of red glass together into Jesus’s robe, which glows when sunlight spills through the natural grain of the glass, especially at dusk. This is for Martinson the happiest time of day, and the most beautiful. Besides the stained glass, the altar too displays Martinson’s artistry. On the floor, he alternated strips of blue and yellow tile into what he describes as water from a mountain spring flowing down into a river. This mountain spring symbolizes the origin of life, and the water the energy that seems to flow around the space of the church, charging it with vitality. 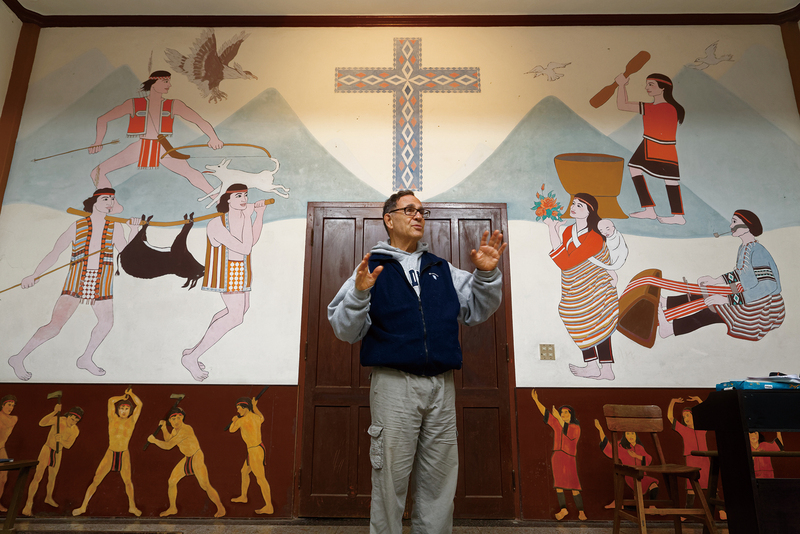 To honor the indigenous villagers, Martinson painted the wall inside the entrance with a mural composed of Atayal imagery arranged around a Christian cross. 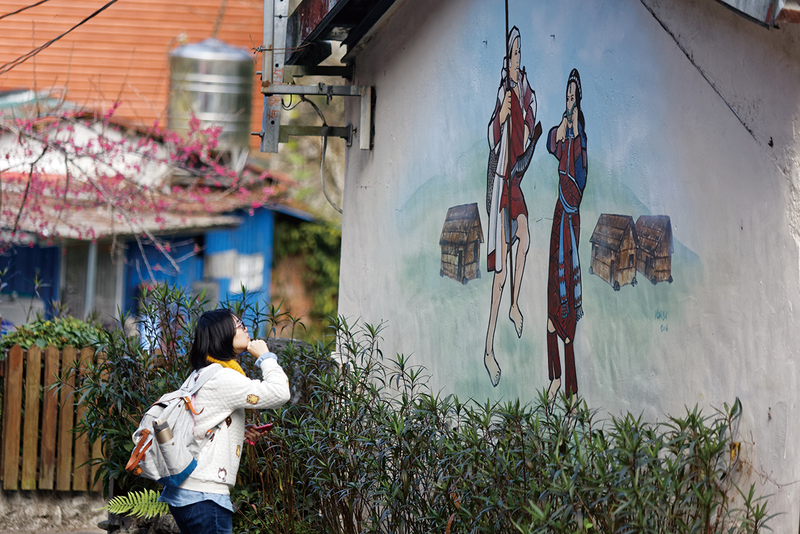 Without words or language, Martinson has painted his love for the village of Qing­quan and its inhabitants. In addition to putting the church in order, Martinson has done a series of mosaics on the wall beside the basketball court outside. After long reflection, he settled on the story of David and Goliath for his first theme. Alongside other Bible stories, he also rendered an Atayal myth: once there were two suns that rose and set in alternation, until an archer shot down the second sun to separate day from night. 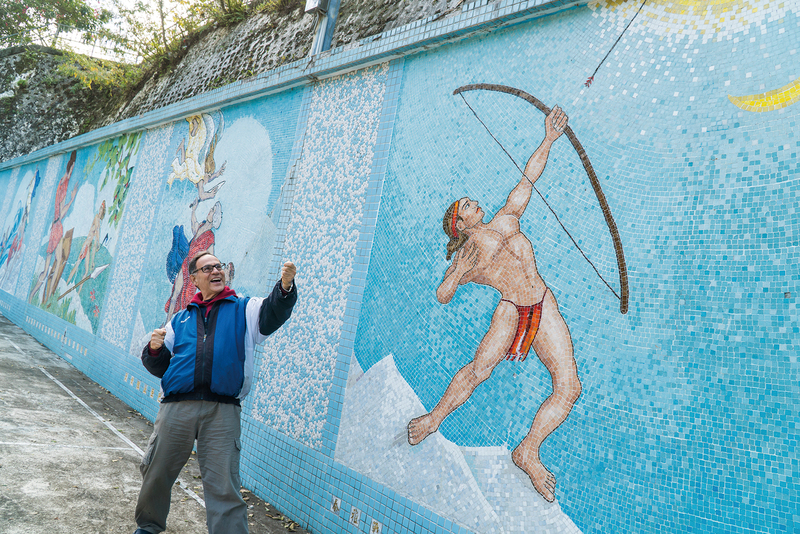 The mural vividly expresses the archer’s beauty and power as he looses his arrow, encouraging people never to give up in the face of difficulty, to persevere no matter what. With his hard work and dedication, it took Martinson 15 years, from 1985 to 2000, to complete this group of murals that symbolize strength, hope, freedom, and courage. Before Martinson’s arrival, children who were born in remote villages in the mountains had to go down into Zhu­dong to go to school. In many households, both parents left the village to find work in the city, leaving Grandma and Grandpa to take care of the kids. Many such children were denied the opportunity to get an education. Martinson could not bear it. 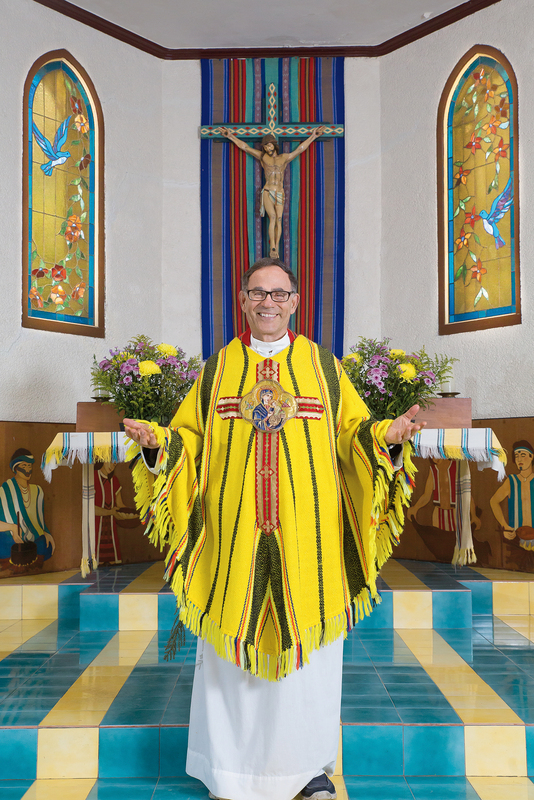 In 1998, he converted an abandoned church 20 minutes’ drive from his own into the Sacred Heart Kindergarten, serving all the villages in the area. 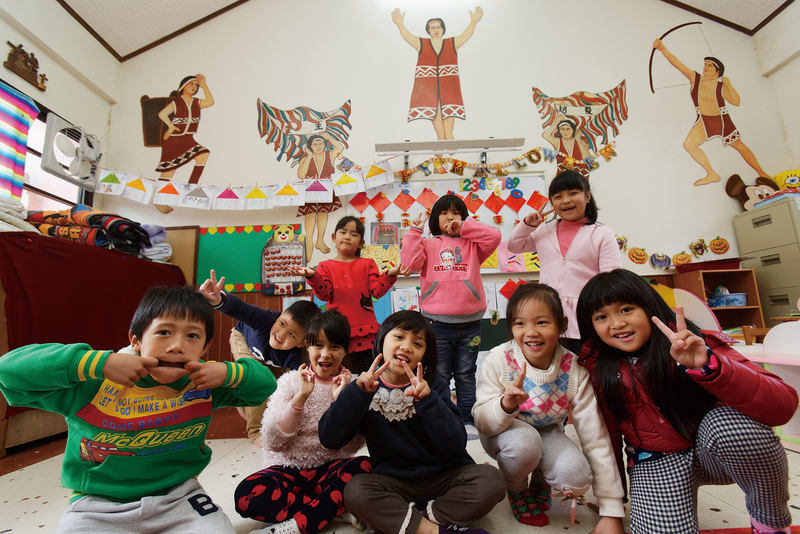 Though resources are limited, the kindergarten is funded by the government through indigenous assistance programs. Thus there are no tuition fees, just a couple of hundred NT dollars a month for transportation. This is quite a light burden for families to bear compared with the NT$10,000-plus they would have to pay at a private kindergarten in the city. Martinson has not only founded this kindergarten, but also goes there once a week to teach English. Seeing the innocent smiles on the faces of the children gives him the greatest satisfaction. Martinson believes in practicing what he preaches. In addition to founding the kindergarten, he also settled the debt of a local credit cooperative which had been dysfunctional for many years and turned the building into the Tao­shan Youth Cultural Center. He applied to the Ministry of Education for funds for a simple library and for an instructor to teach computer skills. In this way, Martinson hopes to narrow the educational gap between urban and rural areas. Establishing the center was not smooth going: when the government withdrew the right to use the property, Martinson had to go down to the city more than once to try to sort things out. To him, the important thing is not who owns or manages the property, but that Atayal children and youth can have a space to study and develop their potential. In addition to building a kindergarten for young children and a cultural center for youth, Martinson has built a guesthouse for travelers, the Fountain of Youth Hostel, hoping to create job opportunities for local residents so as to stem the outflow of labor. Martinson does what he can in ways large and small in the village, never afraid to get his hands dirty. 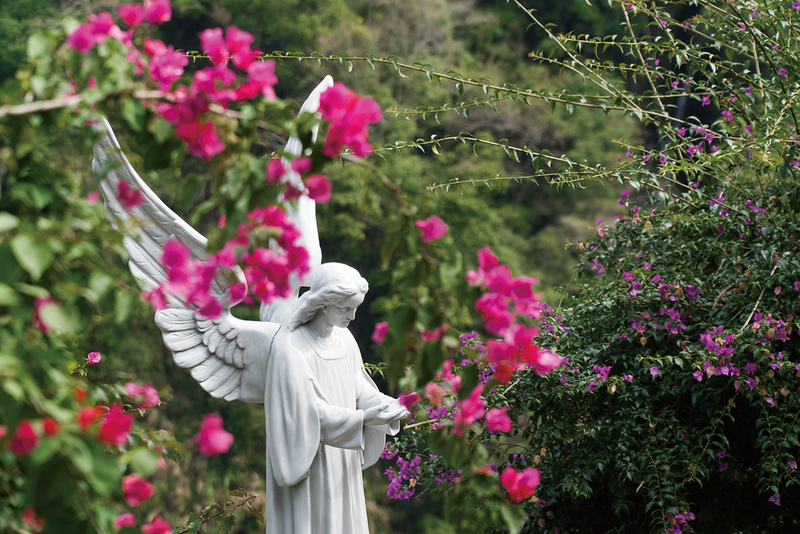 He is not just a Catholic father, but also like a parent to the people of Qing­quan. He offers blessings at weddings and births. He cares for and provides support to poor families. Martinson even helps ex-convicts to repair their houses and rebuild their lives, encouraging them to make a fresh start. To Martinson, the whole village of Qingquan is home. He concerns himself not just with the church, which he beautifies with art and gardening, but also with the environment in which the villagers live. To improve this environment, he donated all the stained-glass artwork he made over two years for auction. With the funds the auction raised, he led teams to repair walls and paint images with an indigenous or Biblical significance. Visiting Qingquan now is like walking into a painting. Martinson repairs and beautifies every corner of the village, including the stone walls along inclines. He raises funds and applies for assistance without thought of personal gain, and always contributes his own time and energy. He also gets involved in discussions for government-directed projects. His dedication to aesthetics—matching color, balancing line, and harmonizing imagery—might lead some to think him too finicky, but to him Qingquan is home, and making the village as good as it can possibly be is his unshirkable responsibility. When he first came to Qingquan it was the sincere, lively villagers who warmed his lonely expatriate heart and gave him a sense of belonging. Martinson has spent most of his life serving them in return, and will continue to love and watch over the residents, enriching people’s daily lives with art so that everyone can discover the beauty of earthly existence.